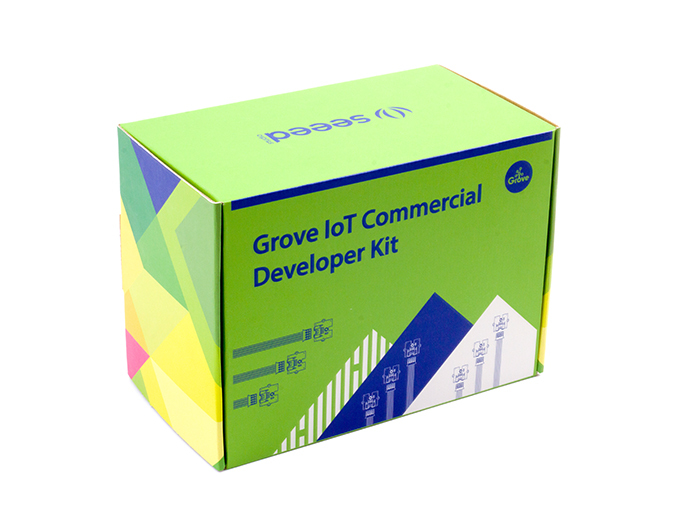 The Grove IoT Commercial Developer Kit is produced by Seeed for Internet of Things (IoT) developers. The kit includes the Intel® NUC Kit DE3815TYKE, which is a pint-sized desktop computer that allows you to work, play, create, entertain and inspire in any room. Most importantly the Intel® NUC Kit has been pre-installed with an IoT Development System - a system that is designed by Intel to better helping the developers realize their IoT ideas. It has fully support to a bunch of well-chosen Grove modules, which are included in this developer kit and can be perfectly applied to the Arduino 101 IoT development board to build any IoT projects you want. NOTICE: This kit DOES NOT include the Arduino 101. The kit provides an Arduino compatible Grove Base shield and a bunch of rich-featured Grove modules that covers a wide range of applications: The Grove - Piezo Vibration Sensor for motion detection, the Grove - Temperature Sensor_V1.1 for temperature measurement and the Grove - Sound Sensor_V1.2 for voice sensing etc. With the pre-installed IoT Development System in the Intel® NUC Kit DE3815TYKE, you can set up your IoT project and turn your idea into real thing easily and quickly.